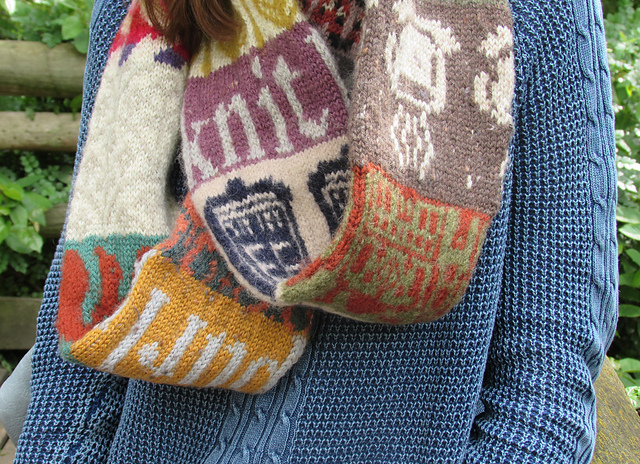 The title of my blog says it all: Knitographical - my life in random knitted things. I've always wanted to translate this statement to a random knitted thing. 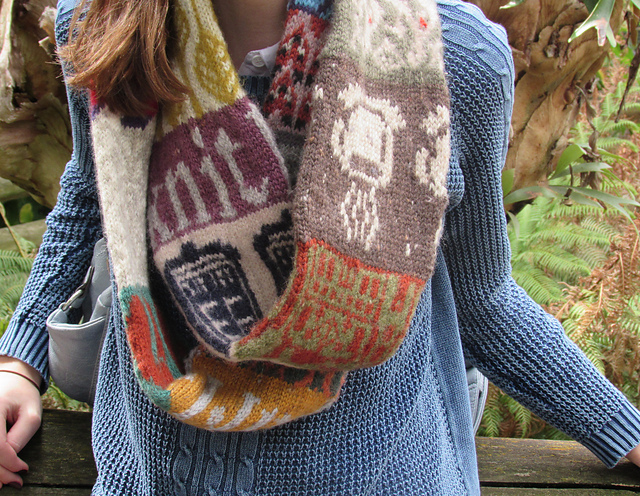 So when I first ran across Jill McGee's recipe to knit your favorite things into a cowl, it went straight into my queue. On New Years Eve in a hot and sweaty Australian summer, I cast this one. 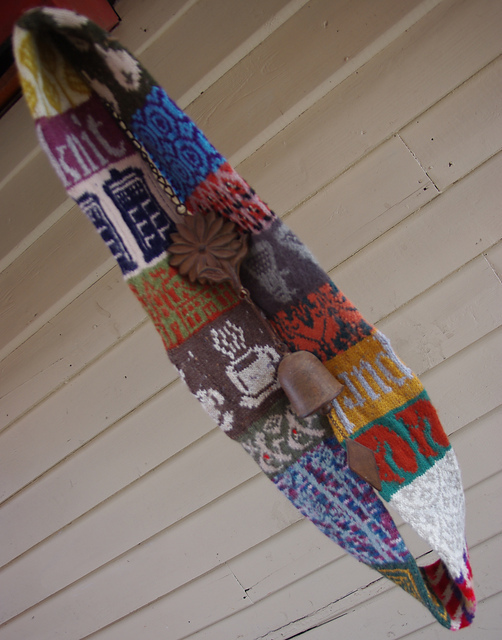 Here is my story interpreted with sticks and wool. 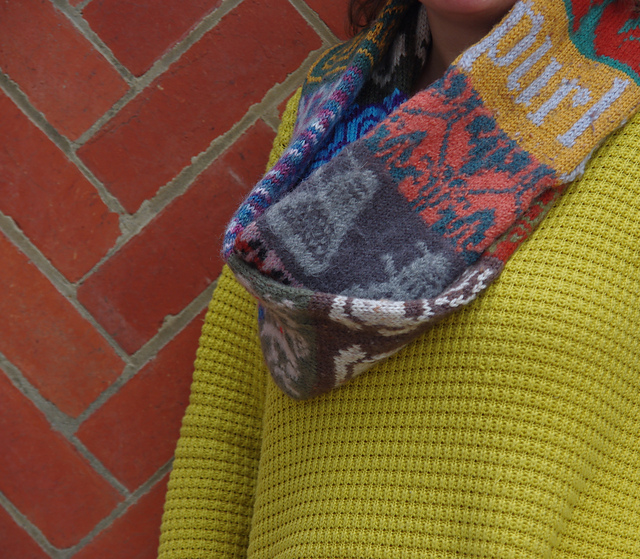 And this is a story cowl - but today I'm just going to tease you with the pretty pictures of the finished cowl. The story is for next time. This is also a memory of a recent trip to the zoo where we took the photos. Thanks to the boy for the photos and Mel for her modelling skills (though it is me in some of the photos). The great thing about zoos, apart from awesome cute animals, is that no one looks at you funny for taking photos of just about anything. 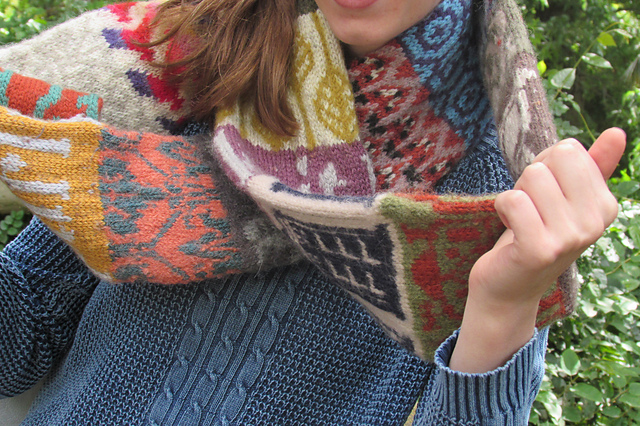 Pattern: 'My Favorite Things' Infinity Scarf by Jill McGee. 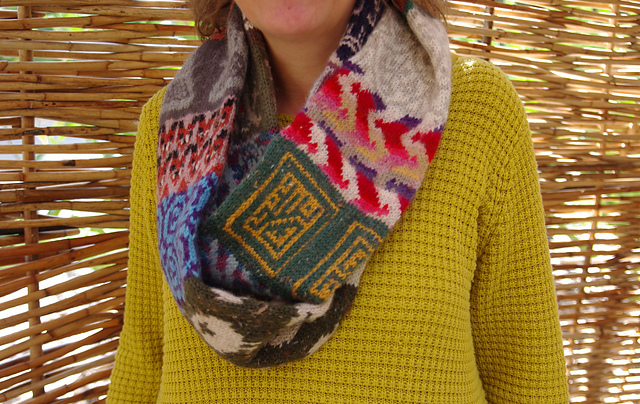 Patterns used for individual motifs can be found linked on my Ravelry project page - Knitographical Cowl. 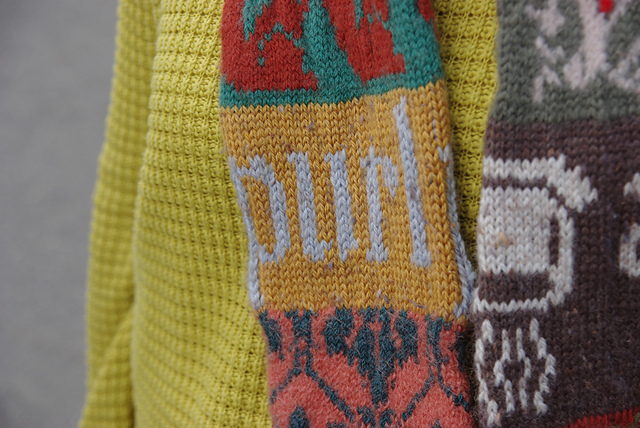 All colour-work patterns are from free patterns / charts - mainly from mittens hats and socks. Wool: a variety of 8 ply pure wool and wool blends - lots of Cleckheaton Country and Country naturals.